In every industry there are terms to help you simplify and understand how business gets done. Marketing automation is no exception. While every software platform treats these differently, there are some generally accepted definitions to help you navigate the buzzword bingo you're likely to encounter. 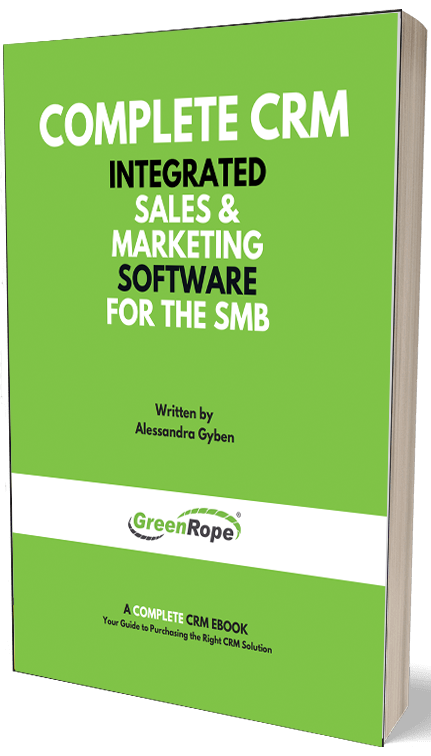 GreenRope separates each of the following main functions into different areas within our CRM and marketing automation platform because their purposes are different. Below, you will see what each of the terms mean and how we make it easy for you to use them in your GreenRope account. If you have questions about these or want more information, our team is here to help. Reach out to us at any time via phone (+1-442-333-7577), chat (see the bottom right of this page), or email us at support@greenrope.com. You can also request a demo of our platform by clicking the "Live Demo" link at the top of this webpage. The term "marketing automation" refers to ways to use technology to automate communication with leads and contacts. Often this is done by email, but it can also trigger text messages or printed pieces like brochures. Marketing, being a term that also refers to listening, also involves measuring and tracking the activities of contacts in your CRM. When marketing professionals talk about automation, they usually reference triggers (things that cause something to happen) and workflows (the execution of predefined actions). Workflows are the execution side of marketing automation while bridgning the gap between sales and marketing. Workflows are connected to your marketing and CRM software in a way that they can influence outbound communication and the actions of your sales, marketing, and operations teams. In GreenRope, workflows can alert members of your team, send email/SMS messages, update contact CRM data, create CRM activities, assign campaign IDs, create conversions, start/pause journeys, and more. You can set activation limits to prevent too many workflows being activated in a short period of time. Reporting will also demonstrate how often workflows are being activated. Auto-responders were one of the first ways marketers used automation in communicating with leads. Auto-responders are sequenced emails that are sent to people who fill out forms. Once the form is submitted, the clock starts ticking, and a series of messages will be delivered on a pre-defined schedule to the person who filled out the form. In GreenRope, auto-responders are defined in the Website > Signup Forms area. Once you are building a form, you can see a tab that lets to you set the timing and the message content for each auto-responder email. These emails can be personalized with placeholders and dynamic, rules-based content generated specifically for the person who filled out your form. Drip campaigns are like auto-responders, except they are not necessarily triggered by filling out a form. There can be some basic logic built into these campaigns, but generally they are designed for sequential delivery and are great for educating and providing useful content to leads and clients. The actions in drip campaigns can be sending emails or triggering workflows, which can do much more than sending emails (e.g., sending text messages, scheduling CRM activities, and/or updating data in the CRM). In GreenRope, drip campaigns are defined in Automation > Drip Campaigns. When someone gets added to a group where you have defined a drip campaign, that person automatically starts down the sequence of actions. The timing can be a certain amount of time after being added to a group, or an anniversary date, or a date defined by a custom user defined field. Journeys are interactive ways to totally customize the customer experience. Journeys are built with branching logic, allowing you to set up rules that can tailor every action that happens to the contacts progressing down that journey. Journeys are set up with 4 major components - decisions, delays, actions, and stops. Decisions are branch points, where if a condition (e.g., the contact interested in product X or product Y or they have opened or not opened an email) is true or false. Depending on their decision, the contact will progress down a different branch of the journey. Delays allow you to stop the contact at a point for a fixed period of time or until some other condition is met (such as when they click a link on an email or they electronically sign a document). Actions can be connected to sending emails or activating workflows. Stop points will represent the completion of a journey and are a good reference point for reporting. Knowing what percentage of your contacts followed which paths will help you understand your market and the behavior of your leads and contacts. GreenRope has an easy-to-use, intuitive drag-and-drop journey builder. Once you design your journey, you can add individuals to a journey manually or with a workflow. Workflows can also start, pause, resume, and stop contacts in journeys, which can be helpful if you want a purchase to stop a lead nurturing campaign. Click here to read more about the difference between workflows, drip campaigns, and journeys. Marketing automation must be tightly integrated with your Complete CRM to work effectively. Triggers can involve any number of different points in the relationship you have with your leads and clients. If you want automation around sales, marketing, customer service, events, client onboarding/learning, videos, etc, these should all be tightly interlinked. Be sure to take the time to think strategically about your marketing automation. At a high level, consider your different market segments and think about how you address their needs and guide them through the purchasing process. The more you personalize the customer experience, the happier your customers will be. GreenRope's unified platform makes marketing atuomation easy for your business. If you want to learn more, reach out to us any time, and we'll be happy to show you how all of these work together to meet your business's needs.